Red brick. 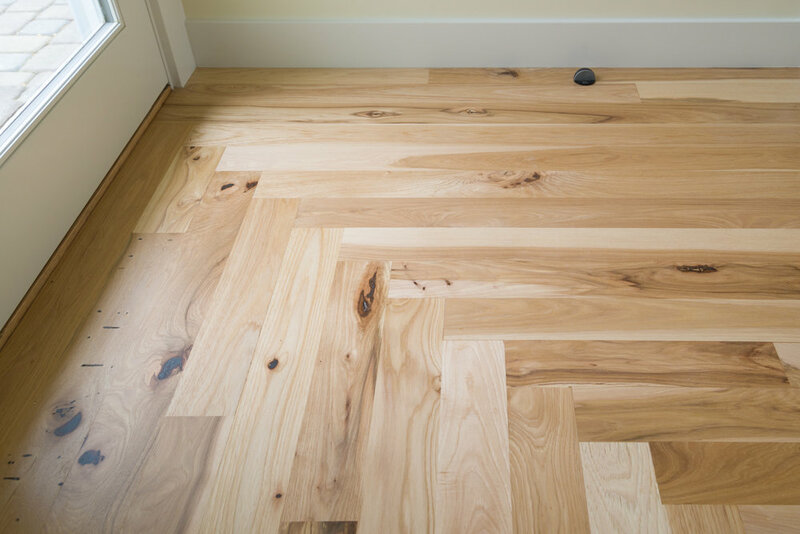 Hickory floors. Painted cupboards. Beadboard ceilings. Checkered tile. Walls the color of quilt squares. This house, surrounded by old growth cottonwoods, feels like a familiar home. A total gut renovation with re-allocation of spaces was involved for this project. Yet care to select mis-matched doors and door knobs of mixed styles, changing directions of hardwood flooring, and a mixed use of metals throughout keeps you thinking this house had been added onto over time and merely refreshed. Lantern sconces and clapboard siding pair beautifully with the brick porch and painted railing. The front door - a perfect poppy red, awaits to be answered. Once inside, a Great Room the color of butter, is anchored by a center-set fireplace. Flanking niches provide ample storage. Fixed shelving is a forethought. Turn right and you look to the kitchen beyond. 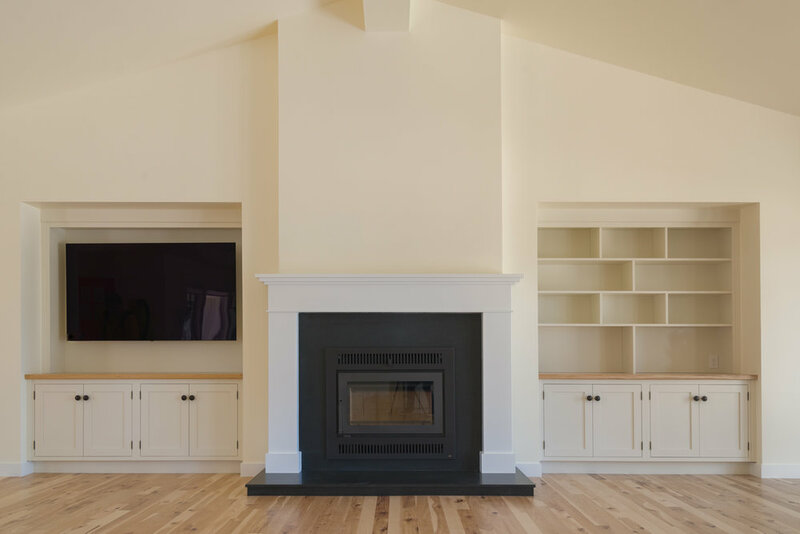 A wall of custom built-ins conceals appliances and prep areas. 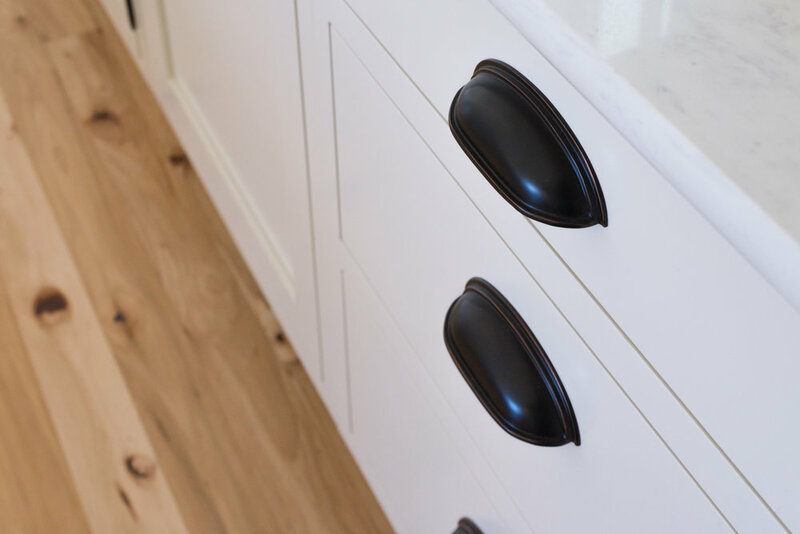 Framed cabinetry is used throughout for an authentic feel. 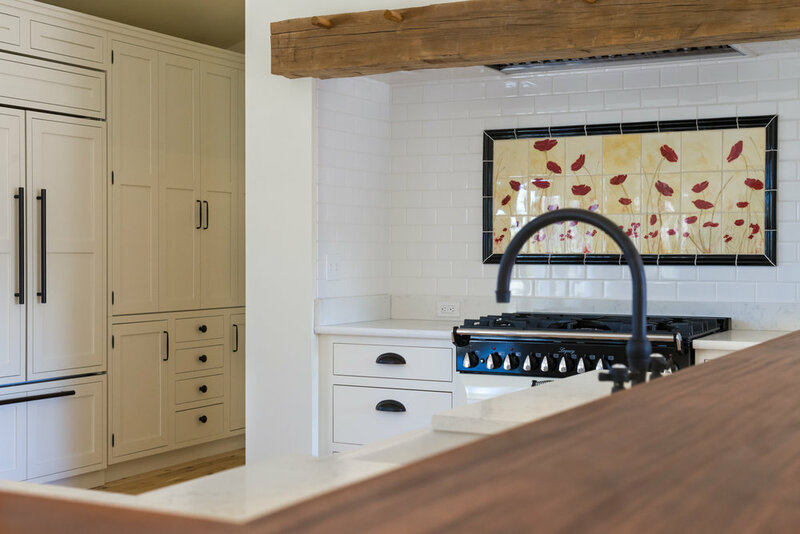 Wood countertops run the length of the “L” shaped island and a reclaimed beam frames the niche. 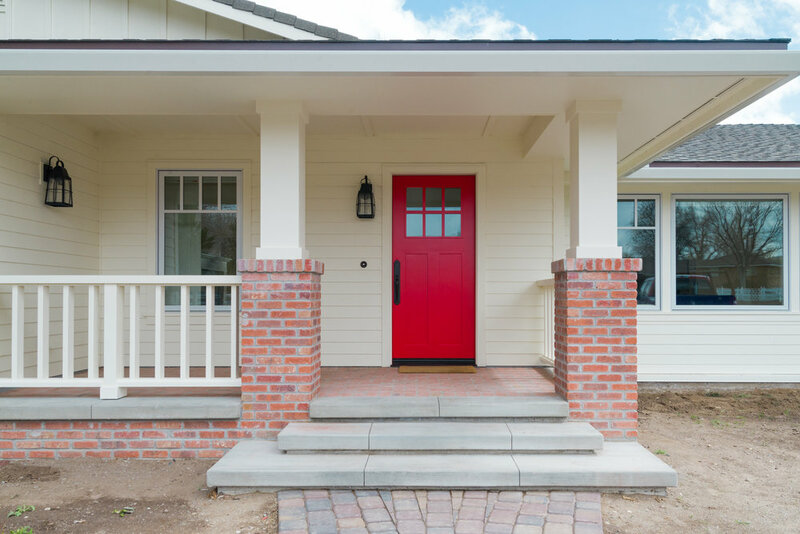 A custom painted tile splash of red poppies waving in the breeze echoes the front door. White subway tile completes the surround and wraps to the underside of the niche for easy cleaning. And sitting quietly, waiting to be discovered, an AGA stove, the color of fresh cream, able to proof the perfect bowl of dough. Behind the Kitchen, a short hall leads to the Master Suite. 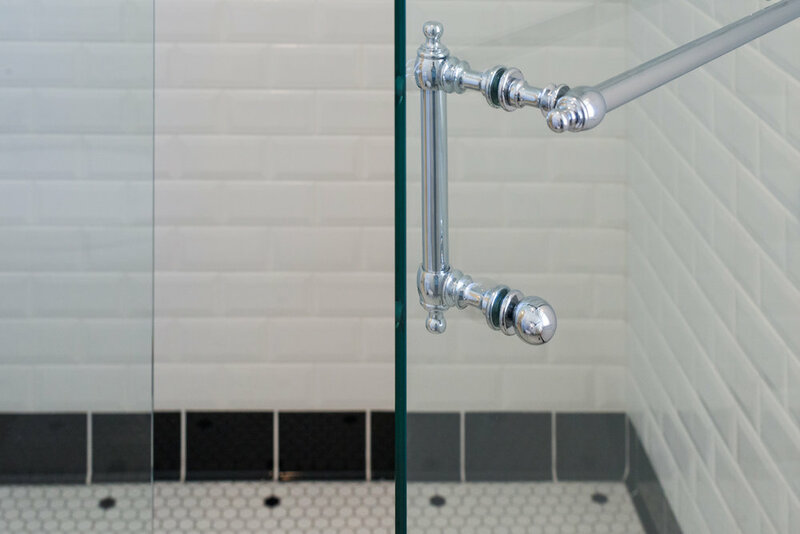 The Master Bath boasts, what else but black and white hex mosaic tiles, dots and flowers pattern the floor. Black legs give weight to the clawfoot tub. 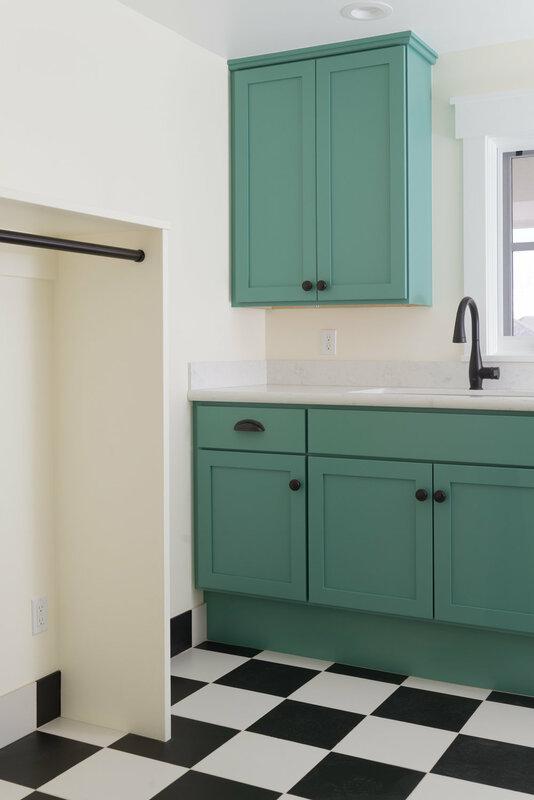 Note the taller wainscot, indicative of older homes and is expressed in beveled white subway tile. A breath of blue sky is painted above. 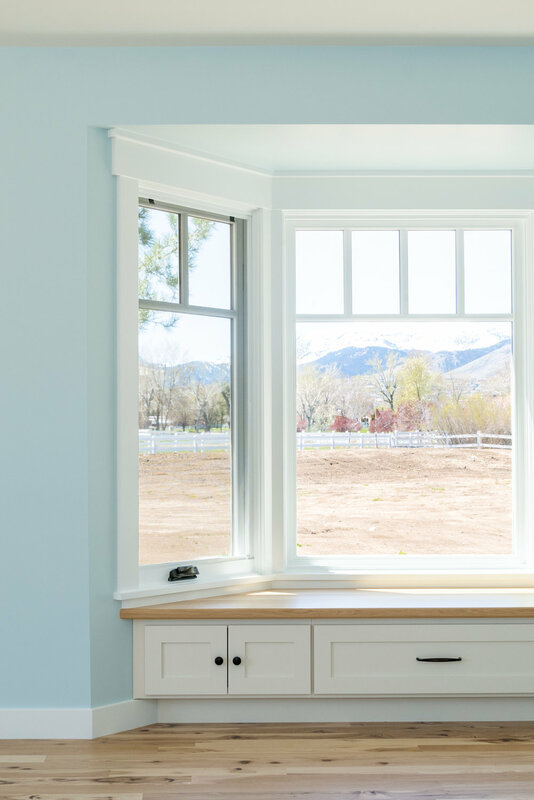 Another detail is found in casework at each window and doorway. And statuary marble tops the painted vanity. 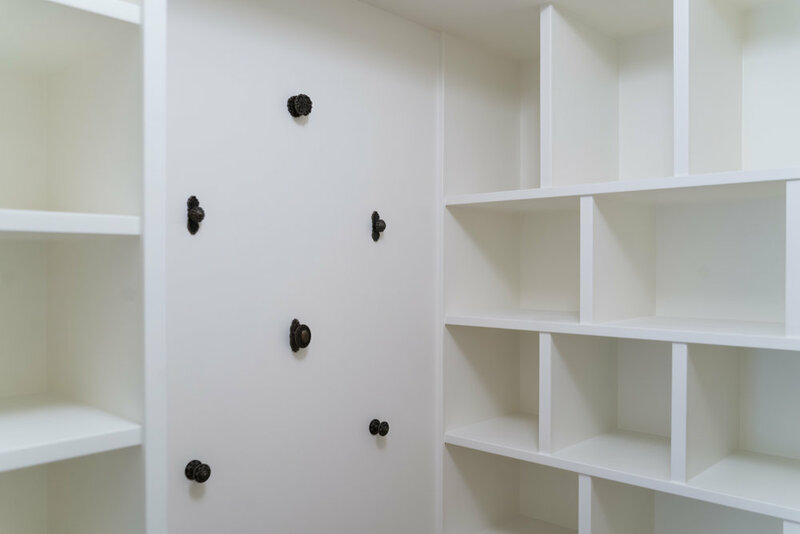 More fixed shelving and a collection of knobs are placed inside the first of three Master closets. 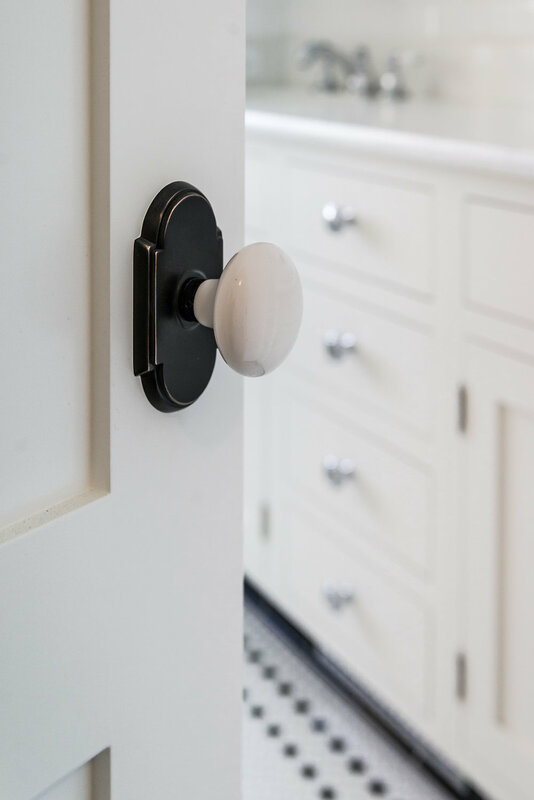 The knobs add a bit of whimsy for the user and offer a perfect place to hang a scarf or small handbag. Bedrooms can be referred to by their color for guests - the blue bedroom, the yellow bedroom or the peach bedroom. 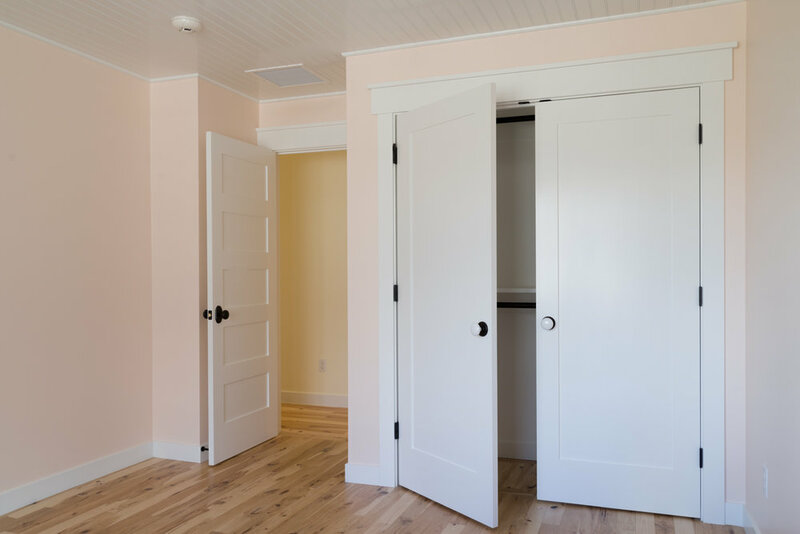 Beadboard ceilings create an old-fashioned sense of coziness. Down the hall is the Laundry room with its black and white checkered floor. Hanging space is ample with long hanging on one side of the room and double hanging on the other. Around the corner is the Library Hall. Glass doors at either end keep sunlight streaming through and offer shortcuts to the Sunroom and backyard patio. The outdoor Bath, perfect for pool guests to rinse off, continues the clapboard siding. 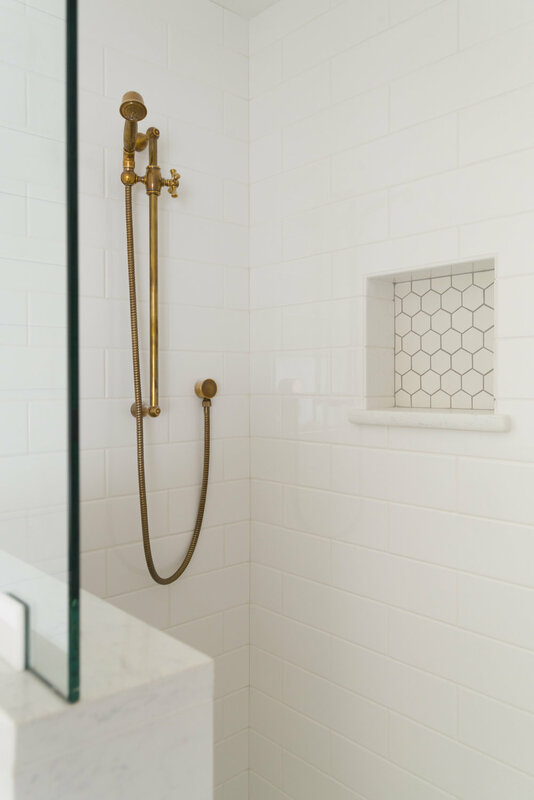 Marble tile floors are stunning and brass is an elegant change. Inside the garage a pair of cadet blue painted barn doors separate the workout room and a storage room from the garage proper.